I set out on my third career political campaign coverage, with a lofty goal-understanding Cameroonian politics. Or at least have a go at some of those unanswered questions that have kept many in deep distrust of ‘our democracy’. This Facebook post summed up the conundrum I was, and to a large extent am still faced with. Decoding Cameroonian Politics- I will spend 2 weeks in the watershed Adamawa region. The region is believed to be a 'UNDP fort' however, the party failed to secure any of the ten parliamentary seats in the last elections. In a bi-partisan style the CPDM and UNDP jointly run many councils, notably in the big town of Ngaoundere. How can the UNDP be so strong in the urban areas and so weak in the rural areas? Three weeks plus later, I must say I have a few answers (smile) but not a full picture of what politics in Cameroon is all about. Let’s focus for a while on the Adamawa region. I was bemused at the purported ‘strength’ the UNDP party when I arrived the region. Simply because the figures pointed the other way. 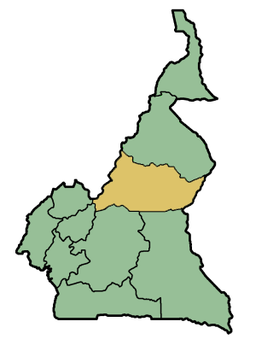 In a region with 21 councils and 10 parliamentary seats, the UNDP in the last legislature held no seat in parliament, and controlled two of the eight councils in the Vina Division (Ngaoundere I and II with a few councillors in Ngaoundere III) Most of the surrounding councils (Belel, Mbe, Ngangha, Nyambaka, Martap) were CPDM-run. One can deduce therefore that the CPDM is strong in the rural areas and weak in the urban areas. The opposition has over the years read behind this assertion, the ‘well synced rigging machinery’ of the CPDM. Given that most of these rural areas are inaccessible, both for political parties and election observers. A master’s student at the University of Ngaoundere told us in one of the pubs of Dang, that his first experience as an election scrutiniser was in a far off village only accessible by bike. He had been advised to carry his food along in his rug sack, a remark he only found pertinent on Election Day in the middle of no man’s land. At the polling station, they were more interested in signing out their allowances for the job, and be done with it, than with the tab of the ballot box, which had inexplicably been broken. Experiences like this, many who have come up close to the election process, can recount tons. But this year, I witnessed (in an urban area), a different story all together. Voters who crowded polling centres at nightfall and together tallied the votes. An attitude that certainly reduces room for foul play considerably. I am of the opinion that our political parties are too weak, or too amateurish to man all the voting centres across the country. This lapse can be filled by genuinely involved voters like the ones I saw in some parts of Ngaoundere. Who do not just vote and go away, but wait to know the outcome. Returning to the theme of the urban vote vs. the rural vote, it is hard to tell why the village people in the Adamawa do not vote, like the city people of Ngaoundere do, assuming the city people know better what is in their interest. Politicians will tell you, most rural people vote along tribal lines, and the opposition fails to campaign in the remote areas. These are all part of the answer I guess, but it does not seem to explain everything. In most countries the urbanised areas, presumably the more populated, should sway the vote in favour of one candidate or the other, but over the years, politicians have been trying to convince us that especially in the northern regions, the voting public is found in out of sight villages, and cannot be underestimated, as their vote in the end can decide the polls. This is certainly possible in the case of the parliamentary poll, where a candidate is believed to be strong in 5 rural areas out of 8 sub-divisions (I still have to check if the demographics in these rural areas outweigh the urban). So, as you can see, I still have many questions unanswered, this election has certainly helped me realise the value of reaching out to the remotest areas in political campaigning, and we must agree, this is an uphill task for politicians across the globe. Is this inaccessibility playing in favour of one candidate and not the other? Do rural voters follow the trend of their peers in the urban areas? Do rural voters vote for parties (loyalty) or candidates? These are all questions that need to be studied further by political scientists, to better understand the Cameroonian voting public, and explain the success or failure of one campaign over the other.